This is even more true when it comes to Shakespeare. Resistance to new ideas in teaching Shakespeare usually comes in two flavors. One comes out as “You expect those students to do Shakespeare?” which usually signifies the teacher’s own insecurity with the material. The other is the complete opposite: “You’re telling me how to teach Shakespeare?” Take heart, though; there are many ways over, around, and through these walls. Not surprisingly, the solution begins and ends with ownership. One simple way to begin is to start a department meeting by giving your staff printed copies of a scene from a play they probably don’t know, like Coriolanus III, iii, or Troilus and Cressida II, i. Give your teachers some time to look it over, and then ask them a simple question: how would you teach this? Inevitably, someone will mention teaching through performance, and that’s when you hit them with something like Michael Tolaydo’s “3-D Shakespeare” from the Folger’s Shakespeare Set Free. Without editorializing beforehand, elicit reactions to the activity from the group, which in my experiences have been almost invariably positive. Then, to preempt questions regarding the Common Core, ask your teachers how the activity they have just completed relates to a standard like RL.9-10.1, which reads as follows: “cite strong and thorough textual evidence to support analysis of what the text says explicitly, as well as inferences drawn from the text.” They will come to the idea that thoughtful line readings require understanding and interpretation, which is exactly the kind of close reading and exploration of authorial intent demanded by the CCSS. This opens the door to other activities that ease students into Shakespearean language in a scaffolded, safe way. It also helps to assuage the fears of teachers who have no stage training, which is probably most of your department; as is the case for the students, no experience on the teacher’s part is required. Finally, another pathway for teachers and students is technology. I am fortunate to work in a school that is one-to-one iPads, but most of these activities can be done by anyone with a smart phone. Have your teachers encourage students to use social media. Use Vine to create two-line dialogues that explain a vocabulary word; take the old Folger telegram exercise in cutting text, and have them cut a speech down to 140 characters on Twitter instead. There are endless examples of these activities, most of which can also be implemented in an “analog” way if the tech is not available at all. From there, teachers will often bring in ideas of their own, often based on apps or websites they’ve learned about from their students. Gradually, Shakespeare becomes less daunting for all, and all stakeholders have some ownership of the process. In the summer of 1993, I had the privilege of attending the month-long Teaching Shakespeare Institute at the Folger. Before then, I was laboring under the misapprehension that I was doing a great job. The students appeared to be enjoying themselves, but it was really the Josh Cabat Show; entertaining, but was it sound and effective pedagogy? TSI taught me the power one gains in relinquishing some control to my students. For Chairs and Directors, the same power will be derived in ceding some control to your teachers. The moment that really brought this home for me was when Sara Lehn, one of the members of my department, was selected for TSI 2012. It kind of completed the circle for me, and I was as proud of her achievements as I was of the things I had accomplished two decades before. She now takes the lead in department PD relating to Shakespeare, and has taken over and grown our school Shakespeare Festival. So don’t take on the PD burden yourself; get your people to conferences and PD, sort through the ideas as a group to find the ones that work, and have yourself a little festival, to provide something for teachers and students to shoot for. 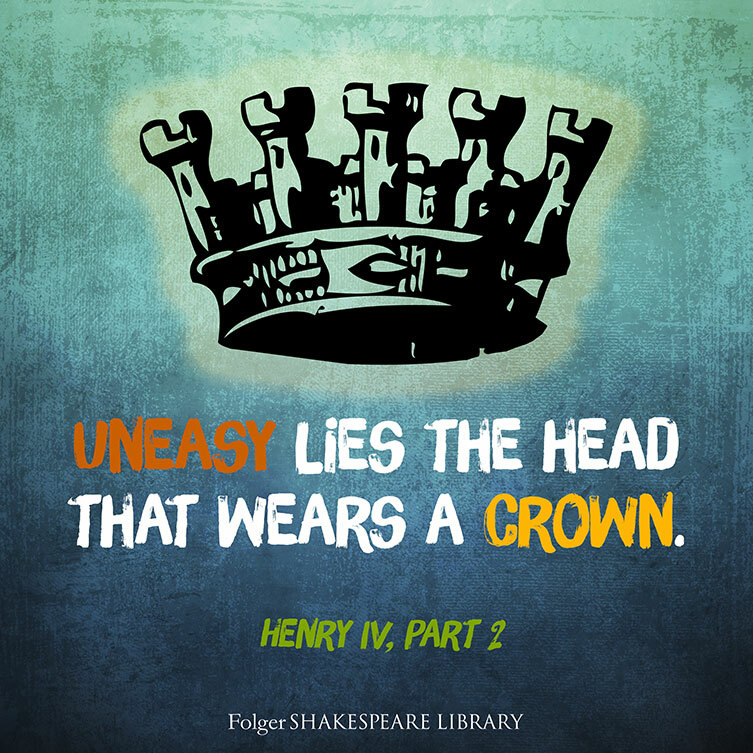 To steal a trick from Falstaff, let your crown be a cushion; it will be more comfortable for everyone. Brilliant post, Josh. You show that teaching involves self-reflection, lifelong learning, and a willingness to try and tweak new techniques. I love your suggestion that Twitter and Vine are more than just hip classroom accessories: they can actually support the work of performance-based teaching (and the CCSS) and bring students closer to Shakespeare’s language– and in manageable morsels. Simply moving that cut script or sonnet from the page to the screen can be the first step in making Shakespeare less intimidating and more familiar and inviting. We want our students to own the experience. This is really sound advice and worth taking. Thanks, Josh, for expressing it so eloquently and effectively. Cabat Josh is very talented and has been the most successful, he has inspired many young and passionate pursuit., This article is good and I appreciate sx have more people interested to you. Nice suggestion, I have a hard time going anywhere to talk about Shakespeare without handing out some text and getting people on their feet–makes such sense that our faculty meetings need the same treatment. What a wonderful legacy and gift you are giving your fellows.